Is Sierra Leone’s health minister on the payroll of a drugs research company? HomeEducation and HealthIs Sierra Leone’s health minister on the payroll of a drugs research company? Last week’s report in the Awareness Times regarding Sierra Leone’s health minister’s conflict of interests and possible breach of the country’s civil service code of conduct, in the face of the current public health crisis, raise serious questions about governance, accountability and possible threat to national security. 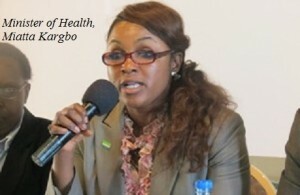 According to the report, which since its publication has not been refuted by either the minister or State House, the health minister Miata Kargbo is unlawfully serving as minister while currently on the payroll of a pharmaceutical research company – Eli Lilly, who it is understood are developing a vaccine for ebola and other diseases. – Was the president aware of the conflict of interest posed by his decision to appoint Miata Kargbo as health minister? – Did State House conduct due diligence and employment reference checks before making that appointment? – Did the Anti-Corruption Commission request a declaration of assets – including all financial interests from the minister as required by Law? – If so did the minister declare her interest in the drugs research company? – Was the president advised by his Secretary that the appointment of Miata Kargbo, whilst in the employment roll of Eli Lilly, was not only unsafe, but in breach of ministerial and civil service code of conduct? – Did the parliamentary appointments committee satisfy itself that there was no question of conflict of interest with respect to her appointment? – why has State House failed to issue a statement in response to such serious allegation published by a newspaper owned by the Special Adviser to the President? Ebola has so far taken the lives of 350 people in Sierra Leone, as the debate regarding the origin of the virus continues. Speculations, innuendos and conspiracy theories are not in short supply. Yet the appalling performance of the ministry of Health – headed by minister Kargbo, has reached grotesque proportions, with the seeming inability of State House to stop the unfolding carnage. 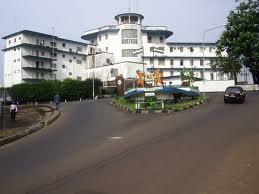 Sierra Leone has so far lost 2 senior doctors and more than 40 other health and ancillary workers to the Ebola virus. 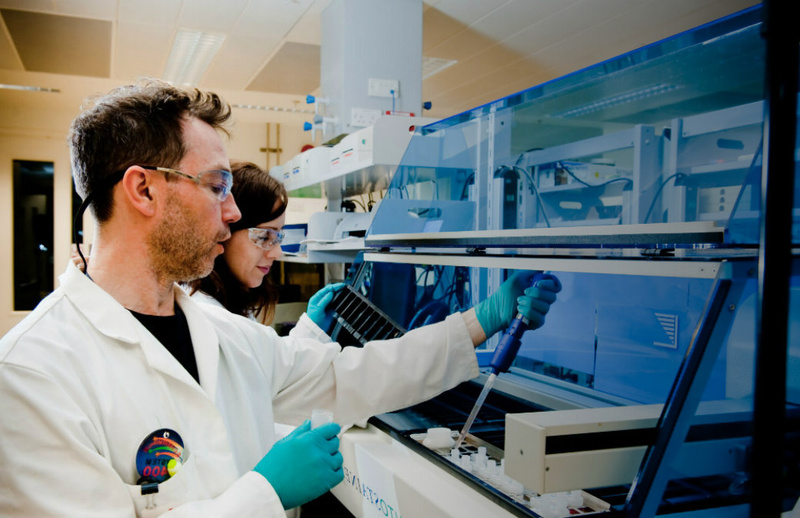 – Was the Ebola crisis caused by a drugs research company testing an antidote for the virus? This question is significant, because logic would inform that in order to test any possible vaccine on humans, one would in the first place need a cohort of human guinea pigs on whom to test the drug. 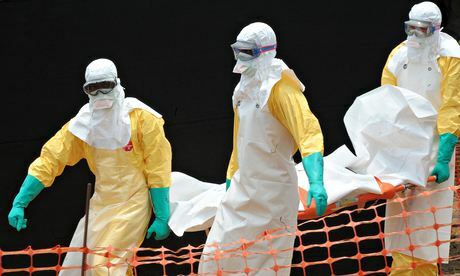 – Was the Ebola virus therefore, released deliberately into what the researchers possibly believed to be a ‘controlled research environment’ – which as evidence now suggests was a miscalculated risk? – Was health minister Kargbo aware of any drugs research or testing programme being conducted by Eli Lilly or any other pharmaceutical company in Sierra Leone, Guinea or Liberia? – Once again, we ask the question in relation to the allegation published in the Awareness Times; was minister Kargbo at any time employed by the pharmaceutical company Eli Lilly? – And is she still on the payroll of Eli Lilly? – Does anyone in the Koroma government own shares or any other pecuniary interests in any pharmaceutical company? President Koroma’s credibility and image are not being best served by the continuing silence of State House with respect to this highly damaging allegation that is simply refusing to go away. More importantly, foreign investors and those trying to conduct business in Sierra Leone would like to feel confident in the belief that, those in government with whom they are signing agreements, are devoid of conflicting interests, which may injure or prejudice their investments in Sierra Leone. The government must now come clean as this issue will not go away. Wouldn’t put anything past this lot! If one were to take the President’s FAMOUS declaration to run the country like a business, with no reference to ethical considerations, literally. has raised this issue quite a while ago with a lot of articles composed from around the world, giving credence to the suspicion that this new and virulent Ebola may have been the consciously crafted scientific creation in a secure, controlled laboratory environment with research destined to produce and test the resulting effect that now seem to be out of control. 1. WHAT and WHEN did the government know about bringing the Ebola research upon the soil of Sierra Leone? 2. Did the government inform all the pertinent authorities and channels, including the citizens, before authorizing and bringing in such dangerous research project into the country? 3. If so, did the authorized institutions and persons “write-off” on and cleared the project before its initiation? 4. Was the APC government informed of the potential dangers and risks that research would result in, in case of an accident? 5. Was the Kenema hospital Lassa fever project consciously converted to an Ebola project? 6. If so, then did the Government know and approve of the conversion project? 7. Was the government made aware of the extent and objectives of the project? 8. Was the research product actually tested on humans that may have gone haywire? 9. Could the test have been piloted in Kissi land and parts of the Kailahun and Kenema Districts where the deadly virus took off like a harmattan wild fire? 10. If not, then why did Ebola first strike in the Kissi area and why has it claimed its largest number of casualties in the Kailahun District? 11. Why did it take President Koroma from April, 2014 until July 31, 2014 before he made his first official statement about Ebola? 12. Was ignoring of the dangers consciously manipulated and sustained so as to see the extent of the effectiveness of the virus in killing humans? 13. Why did it take him that long to visit the Ebola region and sympathize with the victims of this deadly disease? Go to http://WWW.PALMTREEREPORTS.COM and read all sorts of articles and information from all sources about the personnel, researchers, the companies and governments suspected of involvement in the explosion of this new virulent Ebola. These and many other questions must be answered by President Koroma and his APC in order to either clear his nefarious involvement or culpability in the collusion and conspiracy to bring this deadly virus to Sierra Leone that has now taken more than 350 lives of innocent citizens. CITIZENS NEED ANSWERS FROM KOROMA AND HIS APC GOVERNMENT. THEY CANNOT CONTINUE TO REMAIN A “MUMMU” GOVERNMENT WHILE SIERRA LEONEANS CONTINUE TO DIE ON THIS VERY SUSPICIOUS CARNAGE.